PayPal now accepted at CriminalBackgroundRecords.com to purchase your criminal background checks and criminal reports. More and more online buyers are using PayPal as an alternate form of payment for their online orders. Why? We have gathered that with rampant use of credit card fraud, online buyers wanted a safer and easier way to order online without exposing their credit card numbers, and of course to save some money by avoiding credit card fees. PayPal lets you easily send money through the internet without compromising the privacy of your credit card information. CriminalBackgroundRecords.com added PayPal as a new form of payment for its criminal background reports and other background searches it offers because of the demand of millions of online buyers choosing PayPal instead of the standard credit cards when ordering online. We understand why Internet purchasers are choosing PayPal over alternate forms of payment, mostly credit cards, and that is because PayPal is safer, easier and currently has no additional fees applied to the use of it. Why is PayPal safer than using standard credit cards? PayPal is safer because you can still pay with your credit card, bank account or PayPal balance without exposing your account numbers to the merchant (website that you are buying something from). Easier because through the checkout process you do not need to enter your financial information over the merchant’s website as PayPal already has your financial information on their end and therefore does not require you to re-enter it. This simple method actually reduces the overall ordering time as you only need to enter your PayPal email address and password, two inputs of usually memorized information. Speedy ordering all through the criminal search checkout process. Safe online ordering of criminal background checks without revealing or exposing your credit card details. You get to choose if you want PayPal to debit your credit card, bank account or to pull money directly from your current PayPal balance. CriminalBackgroundRecords.com delivers formatted, substantive background reports from county level criminal background checks to geographically comprehensive national criminal searches throughout the USA. 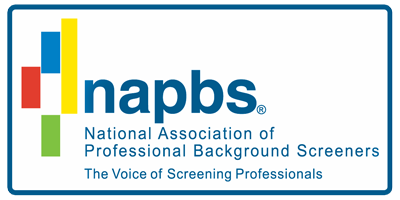 We offer criminal background checks in every state in the nation, and now with PayPal as a new payment ordering mechanism on the site; we are making it possible for our current members who prefer to use PayPal as a form of payment to do so. We have also added PayPal as a form of payment for our criminal history reports in order to allow new users (who may only exclusively use PayPal when ordering online) to have the opportunity to purchase the best criminal background record reports available on the Internet today, with the payment method they trust the most. CriminalBackgroundRecords.com hopes this article helps its browsers and users become more educated in the varying online payment methods available today, and more informed as to what exactly to expect when using PayPal to purchase criminal background reports from our site.